A Lady Reveals Nothing: Pragmatism Isn't Compatible with Vegetarianism, I've Found. Pragmatism Isn't Compatible with Vegetarianism, I've Found. I met a vegan late last year and he got me thinking about how gross eating meat is. So I decided, (knowing full well that I would fail within the first day because I have tried this before) to become a vegetarian. I had to wait until January 1st though because it seemed totally normal to make it a resolution and also because I spent the last twelve days of December at my parents’ place and that house is pretty much the “house of meat”. There are dead animals hanging everywhere and also the freezer is just full. I decided to try again on January 2nd. I had a banana and a granola bar for breakfast. No meat. Win! I had a mac and cheese and asparagus thingee for lunch. No meat. Win! A FORTY pound turkey! I didn't know they got that big. Will it even fit in your freezer? And why did you win it? Because you asked for something they were out of? I love Jr. bacon cheeseburgers from Wendy's. And River hopes you said hi to her favorite bear head at your parents house. Yah, but I'm pretty sure Jesus didn't have "Jenny-O" injecting antibiotics and hormones into his 40-lb turkey that had its beak cut off so it wouldn't try cannibalize the other turkeys. p.s. It was a 40 DOLLAR turkey. 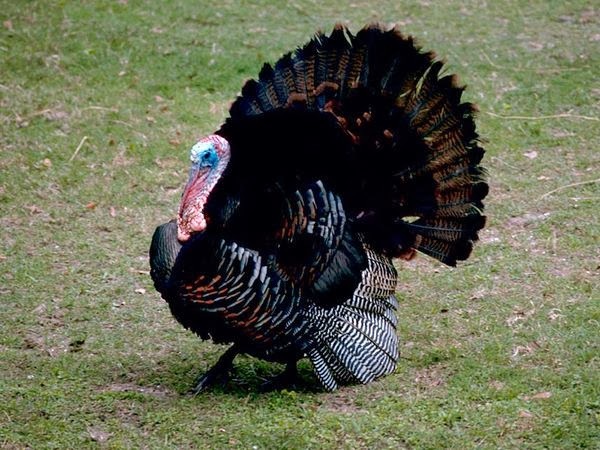 Not a 40 POUND turkey. hahahahahaha!!!! Don't give up meat, just buy grass fed organic pastured kind. Free range. Cruelty free. That meat is way healthier and way nicer for the animals and environment. Also, if you wanna give up something for the health benefits, give up wheat and sugar. Way worse for you than meat. I'm just going to stop eating altogether, and only drink alcohol. Cruelty free!